Using IOD Moulds to make everything more beautiful. This project is a class we teach so that folks can get a first hand knowledge of working with the moulds and clay. 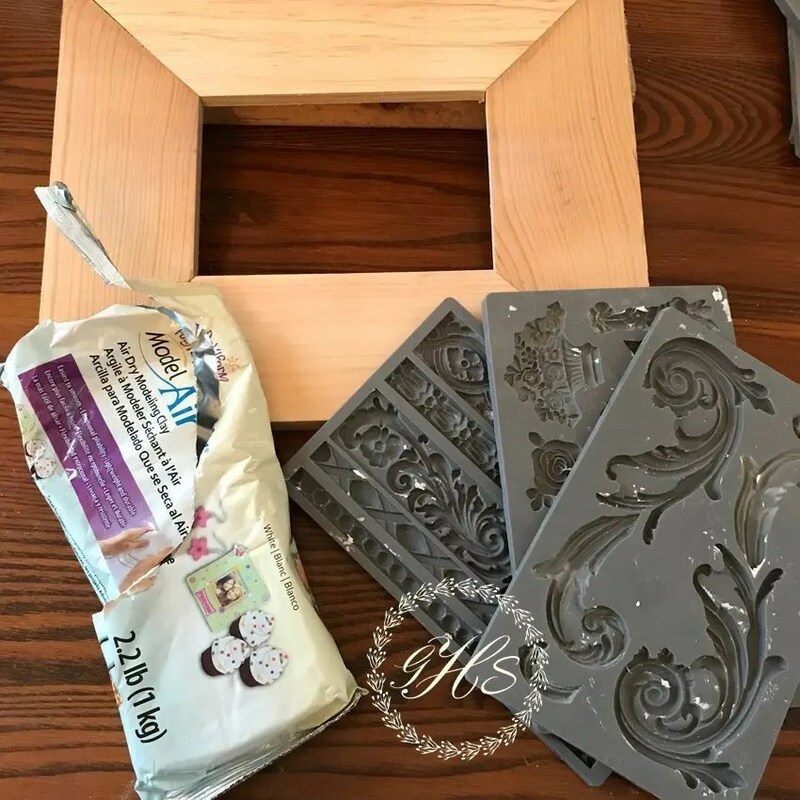 Because you can’t take our class, this post will be a diy tutorial to make your own shabby chic picture frame using iod moulds. 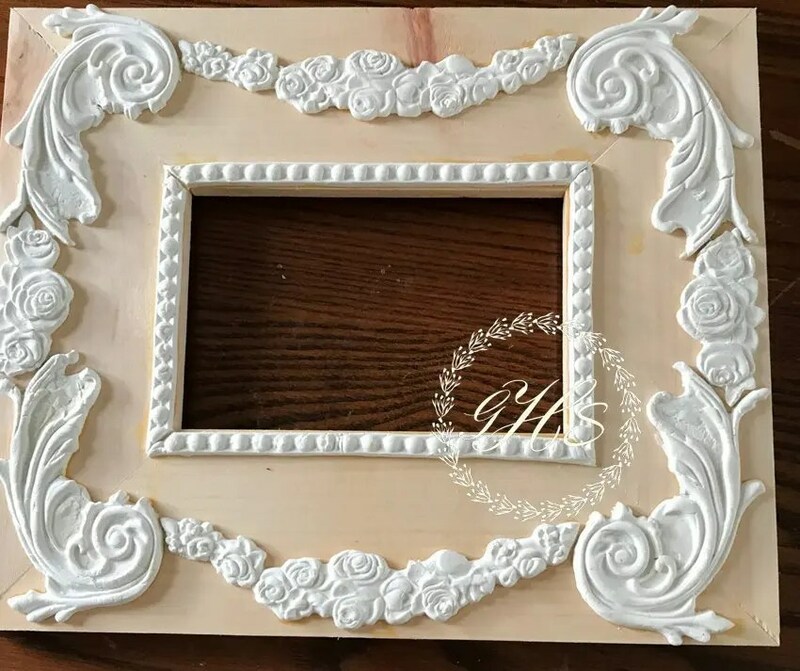 Picture frame with good size flat surface and paintable surface. 1. 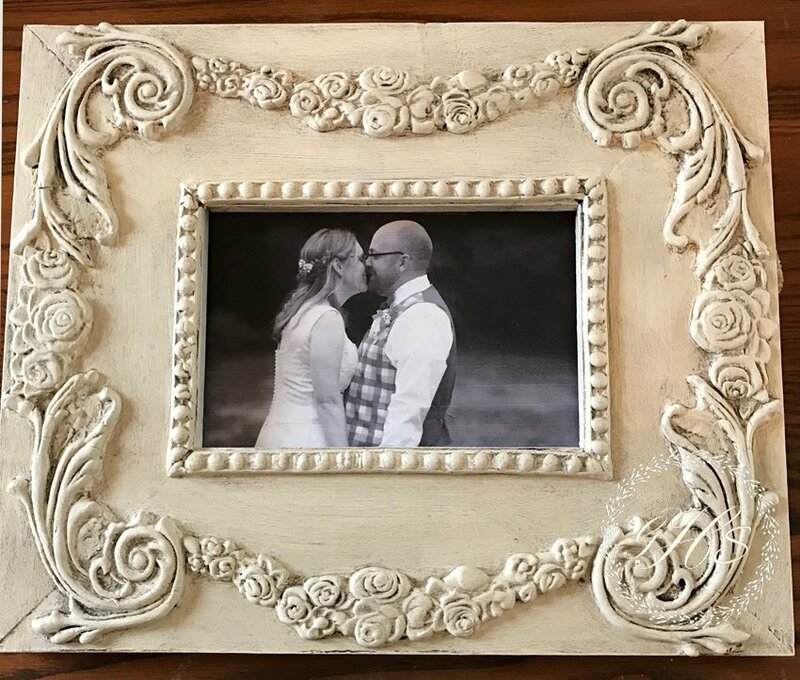 Clean your picture frame if it isn’t raw wood My husband makes ours so we have a 3″ wide border to decorate. Check out this video from the mould creators! 3. 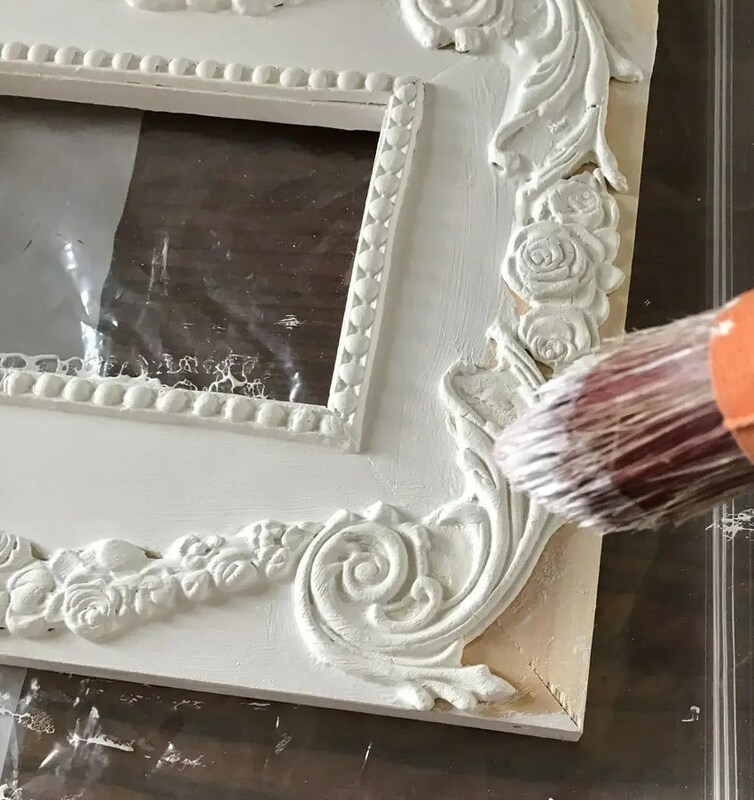 Make your embellishments and glue them on while still wet If you are using air-dry clay the shrinkage is minimum-Paper clay shrinks a bit more and gives the deep cracks that make it look like an authentic vintage piece. This frame makes such a wonderful gift! 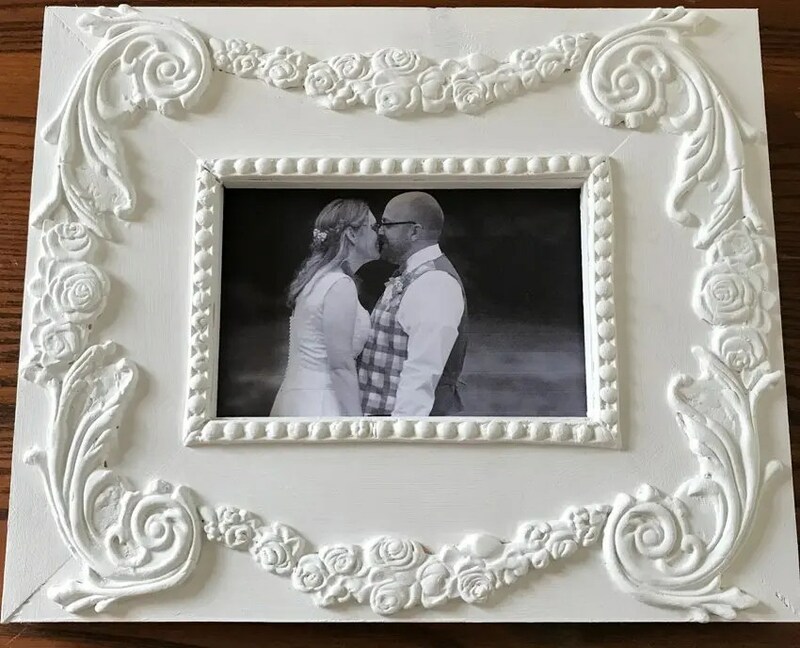 I surprised my son with his wedding picture in mine. He loved it! We are patiently awaiting the NEW IOD moulds from Iron Orchid Designs which should all be here by the end of the year. You can still get some of the older designs on Amazon while they still have stock. We are an Amazon Affiliate so if you purchase these items from a link on our website we receive a small percentage. This doesn’t change the price you would pay, it is just a way for us to make a small amount on our blog and recommend the products we use. 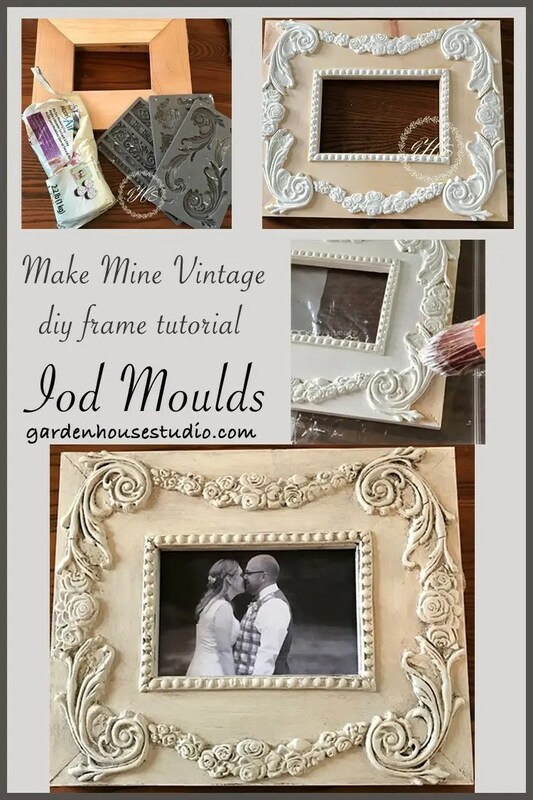 I’ve thought of putting a kit together to make this picture frame, let me know if you are interested!